The Sony a6300 is pretty stunning for what it can do within the limits of an APS-C sized sensor and at such a budget-friendly price. 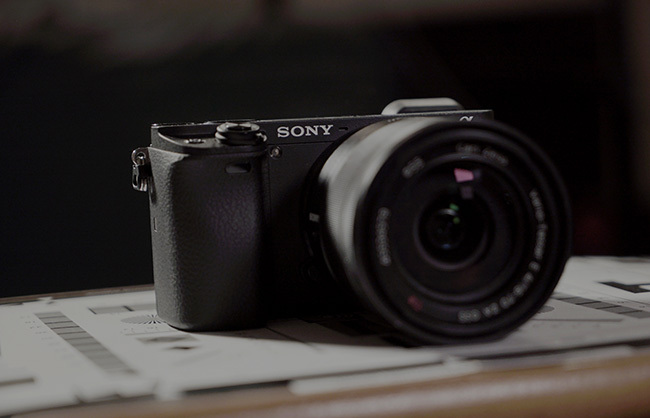 It’s supposed to be replacing Sony’s a6000, and it’s very well built toward both photo and video functionality; the trusty a6000, just upgraded. It’s light, it’s powerful, and it’s affordable. In my review, I will cover what’s so special about this new camera on the video side of things. The build quality of the Sony a6300 is nice and light like the original a6000, but with a sleek new matte finish, and a more ergonomic grip. The EVF is bright and sharp, and the LCD is of the traditional stylings of the a7 series, which in my opinion could definitely be a tilt and swivel by now. This time around, the buttons are tighter and more polished than of its predecessor. Overall, a general improvement in housing. In the world of production, codecs are everything, and as far as codecs go, this APS-C sensor camera is up to today’s standards, with internal 4:2:0, 8-bit UHD 4K recording formats up to 100mb/s/30fps, FullHD up to 120fps, as well as still offering the ability to record 1080/4K at a higher bitrate including 4:2:2 color sampling with the help of an external recorder. This internal 4K compression quality turns out even better than that of the Sony a7s Mark II, resulting in a much better contrast detailing for a much richer image. Moving on to internal specifications of this little monster, the base ISO of this camera is a good 800, of course producing a bit more grain than other cameras due to its smaller sensor size. The low light capabilities of this camera are actually really surprising, showing exceptional work between ISOs 1600-25,600, granted the latter is a bit harder to distinguish details, but still workable. Its dynamic range is very impressive, clocking in at about 11 stops, just a stop or 2 below that of the Sony a7s Mark II, compared to most modern cinema cameras that score between 10-13 stops on the charts. In my experience, this results in some fantastic color grading compared to some higher end cameras out there. There are some cons, but not too many. The rolling shutter on this camera is pretty bad. If you plan on high action shooting, run away from this camera, far away. The SD card slot, needing much improvement, is inconveniently located underneath the battery door, making fast swaps hard and gimbal swapping even harder. There is no headphone jack and the preamps inside are noisy and cheap. Shoot in 4K on this camera because its FullHD(1080) mode comes in on the soft side of things, much softer than the HD modes of almost all of Sony’s previous mirrorless camera systems. Not as much of a con as it is a nuisance, the LCD on the Sony a6300 will go black while recording to an external recorder, however, the UI will remain after record button has been triggered. As for my personal take on it, I think it’s a fabulous little mirrorless camera for video, and it’s hard to find a better one with the features and the price point that the a6300 has. When I was shooting with the camera, it didn’t feel like the cheaper crop frame cameras I had used in the past, but more like a smaller version of a more limited a7 series camera physical and spec-wise. It obviously had more noise/grain in the image because of the smaller sensor, but it was actually very decent compared to how I was feeling about it in the beginning. I shoot a lot indoors where low noise is a must for me, and this camera held very well around those dangerous ISOs we all fear, allowing me to feel comfortable just shooting like I normally do with my own a7s. What made me really happy was that I could finally use all those faster E-mount crop lenses at their full potential, rather than be stuck having to use the very limited selection of Sony full frame glass, or renting an adapter to use full frame Canon, Nikon, or the heavily expensive Leica lenses with a camera like the a7s ii, which actually can’t even record 4k with crop lenses. The internal 4k image sharpness was superbly crisp, and I still couldn’t believe it was sharper than the a7s ii’s internal 4k image after reviewing a few comparison shots. The rolling shutter was pretty bad, but just don’t film high paced subjects or sports and you’re A-okay. I was able to fully satisfy my color correcting hunger thanks to the stunning dynamic range of 11 stops, blending in almost perfectly with other higher end Sony workflows like the Sony FS5 and Sony FS7. Lastly, all this for just around $1000, compared to price tags of $3000-$4000, makes this camera even more appealing to the budget cameraman like myself. 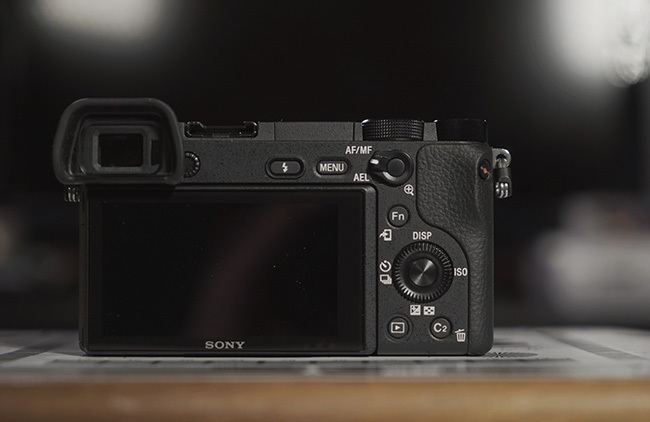 In short, the Sony a6300 graded nicely, the internals are very well thought out, and being an APS-C sensor camera, the lens choices are much wider and cheaper than if you were to be using a full frame camera, and allows for the use of third party Speedboosters to bring it up to a Super 35 sensor image, just in case you need that extra bump. 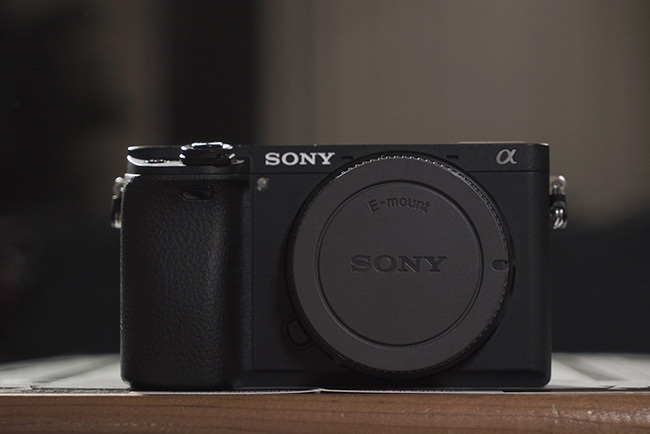 The only things I would change would be relocating the SD card slot to the side of the camera like the rest of the Sony a7 series, and improving the quality of the camera’s FullHD resolutions. Having to shoot 4K a majority of the time to achieve the results I need, winds up costing me precious memory storage if I don’t have a larger card available for recording. Another problem with being forced to shoot 4K for the sharpest image is that lower end editing computers have more trouble handling the footage as opposed to the native 1080 footage so many of us still work with on a daily basis. Aside from the pros and cons, when it comes down to it, if you’re needing a nice, budget-friendly B/ C cam to coincide with your other bigger camera systems, well then this is a good go-to for you. Remember, though, only you can know what’s best for you, so get out there and start shooting! You will make even nicer prints with a bigger sensor. It’s pretty common knowledge, but it’s worth repeating that for video this cam can overheat. Sharpness is impressive, no question. I like having the SD card slot under the battery cover. One less door to break. It is not the least inconvenient in practice, once you learn to push the card in and let it slip off of your fingertip to spring out where it is easy to grab. The low signal to noise ratio (that you cite as “noise”) on the a6300 was most likely designed into the sensor’s output to keep it above the s/n ratio acceptable by broadcast TV (and protect cameras like the FS5 and FS7). There’s a really technical review posted to Newshooter.com concerning this if anyone wants to delve into it. For $1,000 though, Sony has delivered a remarkable video *and* photo camera. You could buy it for one feature and not the other, and still be satisfied. This is an amazing camera for those willing to work within its limitations when it comes to video (heat, RS, etc.). Base ISO of 800 is in s-log mode. OK, so this is a videocamera review. Have no need for 4K , so I’ll just stick to my NEX-6 which allows me to record 1080p once in a while and produces great stills too. The simple fact of physics dictates that bigger sensor will always capture more photons than a smaller one in similar conditions. More photons means better signal to noise ratio and thus less visible noise. You will espesially notice the difference when there is not abundance of available light while shootig. Oh I wasn’t necessarily stating that the sensor was limited in the Photography world as it’s great for a lot for in that category. I have no issues there because it’s a still image and the grain/noise isn’t moving around on you as it does in a video file produced by an APS-C sized sensor. 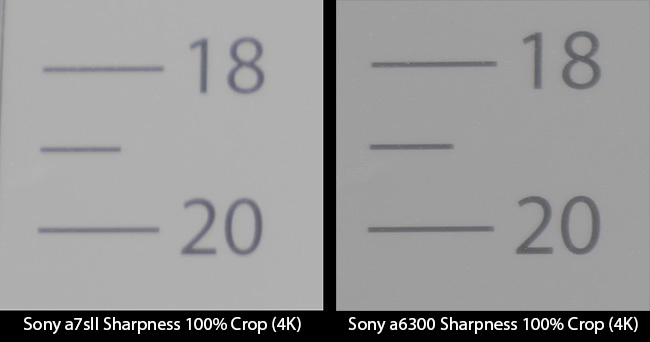 That’s why the a7s is better suited for low light and not necessarily still photographs because of the larger sensor and fewer megapixels to help reduce that noise effect we all hate. The Canon t3i was my first camera before the a7s and it had 18 megapixels, but it wasn’t good for me in video world because it couldn’t take in as much light without having to artificially light everything in that space. With a full frame sensor, I don’t need as much help when it comes to lights because it’s grabbing much more light, and dissipate some of that nastiness. Sorry for any confusion! I’m making stunning 16×20 inch prints form a 16 MP Fuji so you can stop damming with faint praise the sensor size “the limits of an APS-C sized sensor”, “more grain than other cameras due to its smaller sensor size”. 16×20….which Times Square billboards are you shooting that this sensor size is a limitation?